THE FOUNDER FRANCO SEVERI HAS COLLECTED IN THE YEARS FOUR IMPORTANT MECHANICAL MUSIC INSTRUMENTS COLLECTIONS AND A RICH LIBRARY DEDICATED TO THEM. All these instruments have been donated to the Foundation so that they will be preserved in the future and be accessible to the community. Thanks to a special clause, all the instruments, including several unique pieces, have become the heritage of the Italian state, bound to remain in Italy, and can not be separated from each other and can not be sold. The collection exhibited in the Museum of Mechanical Music “Musicalia”, inaugurated on May 4, 2013, is just one of the four present, and tells a journey in the history of mechanical music for 500 years. The property of all the instruments exhibited within the Museo Musicalia belongs to the Franco Severi Foundation, which together with “AMMI”, the Italian Association of Mechanical Music, is responsible for treating and safeguarding an important heritage of mechanical musical instruments. 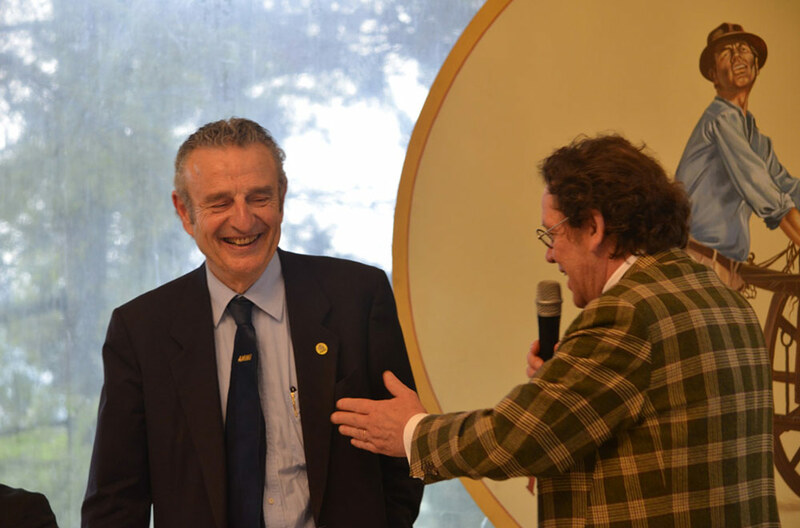 The Foundation was formed on April 04, 2014 with a celebration – the day after Villa Silvia Carducci of Cesena – in the presence of the Mayor of Cesena Paolo Lucchi. Complete with music recording and playback equipment,patent archives and original documents, and thousands of engraved music on master rolls and more. Brings the name of the inventor of Piano Melodico. Composed of 23 instruments, including that of Queen Margherita over twenty kilometers of music files and an important archive. designed to build and then make musication. FINALLY, THE LIBRARY INSIDE THE MUSICALIA MUSEUM IS ONE OF THE MOST LARGE EUROPEAN LIBRARY DEDICATED TO MECHANICAL MUSIC. OPEN TO THE MEMBERS AND THE PUBLIC, FOR CONSULTATION, IN THE OPENING TIMES OF THE MUSEUM.